At Yakima Chrysler Dodge Jeep Ram in Yakima, Washington, we will help you find your perfect Jeep model and then secure a payment plan that fits your budget. Our expert finance professions will help you choose a leasing plan that's right for you. At our Yakima, WA dealership, we have a wide inventory of Jeep SUVs to choose from, including the classic Jeep Wrangler Unlimited and the spacious Jeep Patriot. 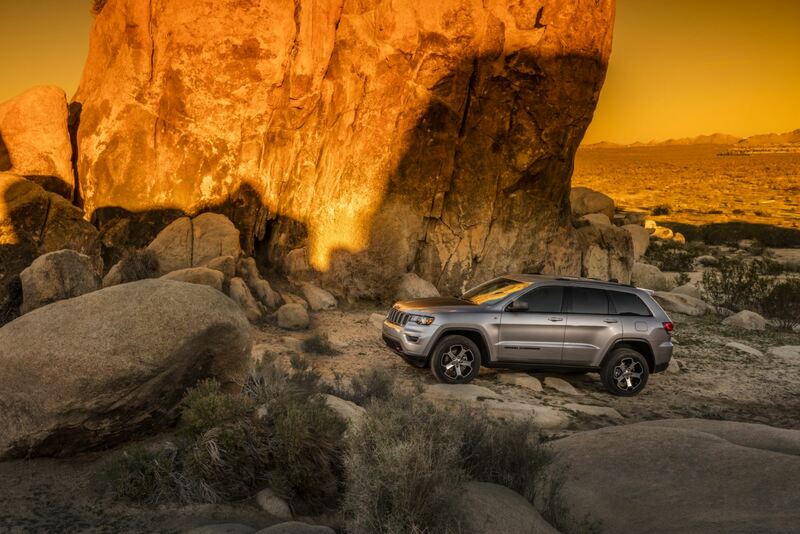 We are confident that you will find a Jeep model to fall in love with. But first, contact our finance department to find out what promotions and finance specials you may qualify for. No matter which model you choose, the Jeep SUV lineup is all about off-road exploration, weekend road trips, and day-to-day adventure. Thanks to their rugged good looks, trail-scaling prowess, and unrivaled 4x4 capabilities, the Jeep family is sure to impress. For those who want all the thrill-seeking features with a hint of luxury, check out the plush interior and agile handling options when you purchase your Jeep SUV. Call our team to learn more about all of our available options and features of our Jeep models at Yakima Chrysler Dodge Jeep Ram in Yakima, WA. Although we offer incredible prices, you might want to lower your new Jeep price tag by trading in your current vehicle. After you trade in your car at Yakima Chrysler Dodge Jeep Ram, you can put your trade in value towards a new Jeep truck. Pair up with our finance department and you can explore every opportunity available, from a Jeep lease to an auto loan. Stop by our Yakima, WA dealership today to pick out your dream Jeep truck with the perfect payment plan.